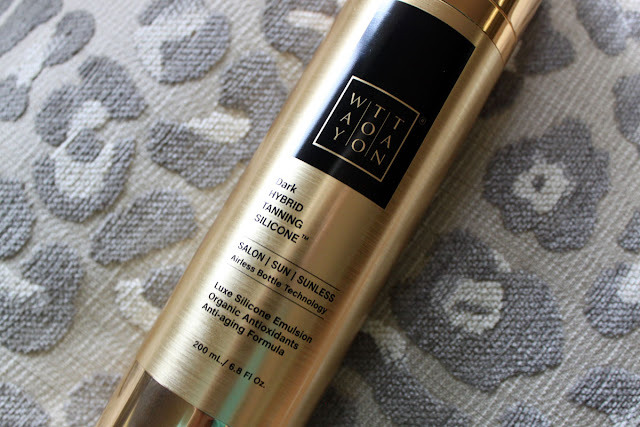 Different about WayTooTan is that it is a cosmeceutical self-tanning lotion. These maximum strength anti-aging components help maintain skin elasticity and firmness, minimizing the appearance of wrinkles and leaving a radiant, smooth and silky texture. The very powerful antioxidants far surpass Vitamin E which is found in most low grade tanning lotions. I always hold my breath with self tanner because my past experiences have not been pleasant ones. I don't have a lot of experience applying them. 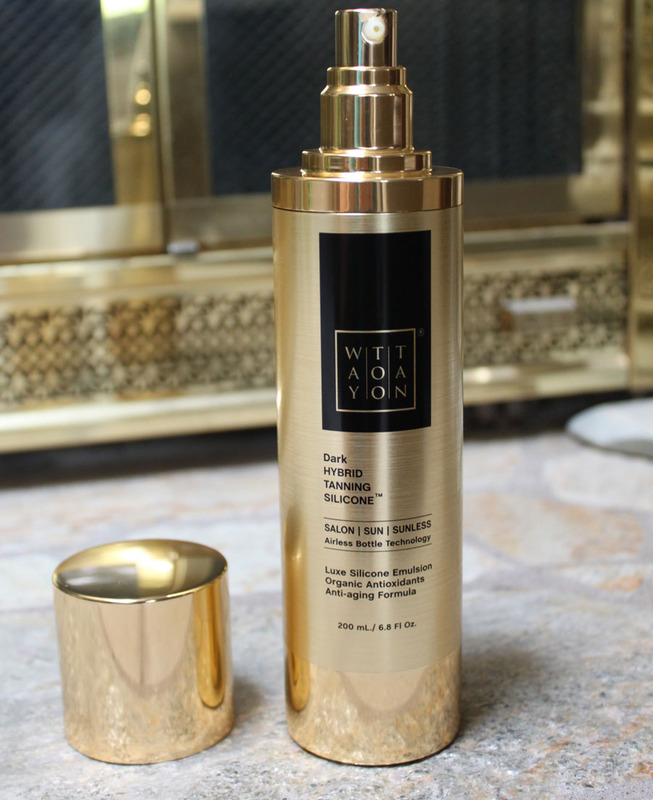 My worries could be set aside because not only was a breeze to apply but it developed in to the most natural looking golden tan and also made my skin feel amazing. Before applying any self-tanner make sure to exfoliate your skin well. 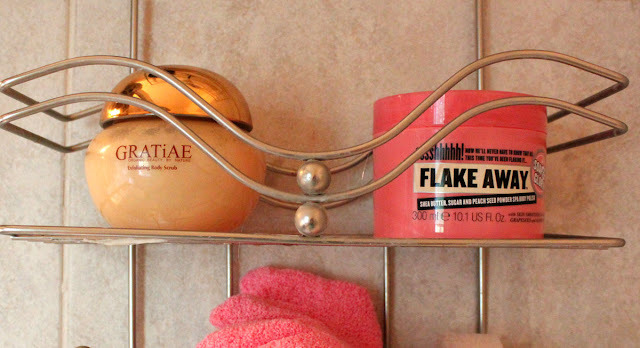 I like using Gratiae Exfoliating Salt Scrub or Soap & Glory Flake Away Body Polish in the shower beforehand to prep my skin. Both exfoliate and moisturize simultaneously. 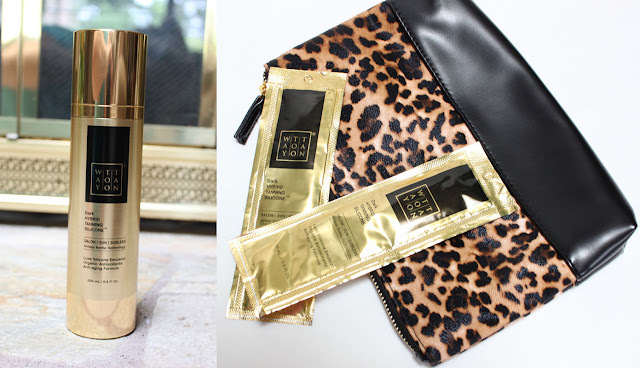 This self-tanner works amazing on both the face and body. 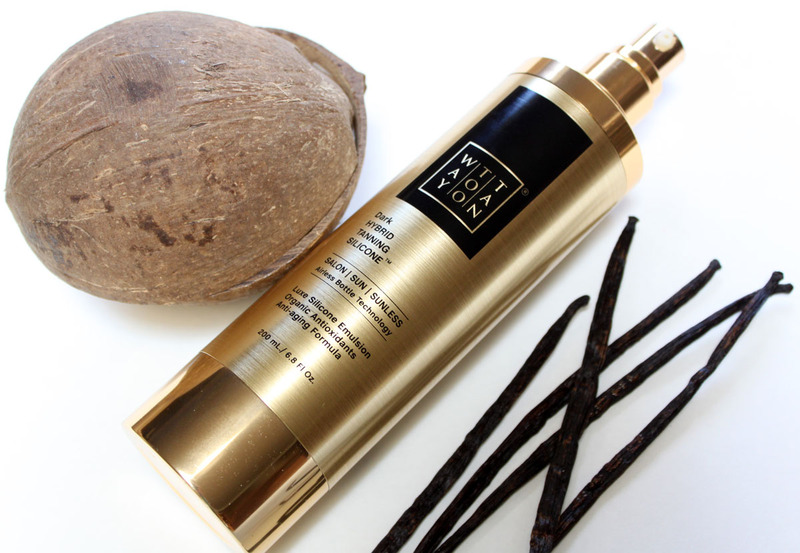 It is non-irritating, non-tacky, non-oily, and has a velvety smooth feel on the skin. The texture and finish feels very much like a silicone based makeup primer. The air-less pump dispenses just the right amount of product required, a pump or two for the face and a few more for the body. Can we talk about how amazing WayTooTan smells? It has the best smell ever! No icky self-tanner chemical smell just a slightly sweet tropical vanilla. 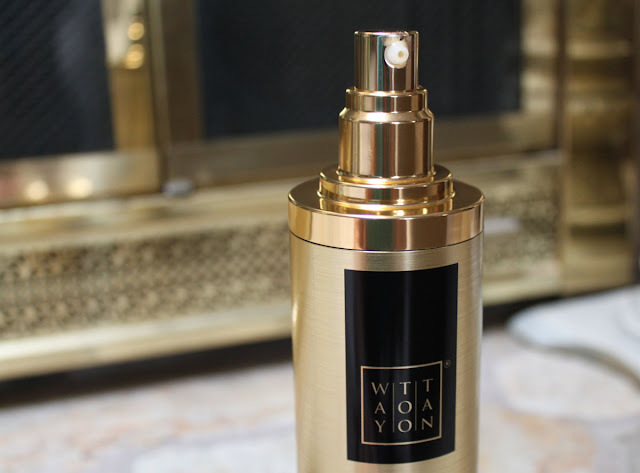 The pleasing scent almost has you believing it is a scented moisturizer and not a self-tanner. No worries of any streaks or drips with this luxurious silicone formula because it glides on silky smooth. Make sure to rub it in good and wash your hands after application. I applied it with a tanning mitt which worked out perfectly. I self-tanned before bed and woke up to a golden glow. The high proprietary concentration of DHA and Erythrulose blend produces a more even, long-lasting, deeper, natural color tone and skin stays consistently more hydrated. With a tan lasting 5-10 days. My light skin now matches my Summer tan and I feel much more beach ready. Along with the glow my skin felt moisturized, firm, and overall just had a healthier youthful look to it thanks to the anti-aging ingredients. WayTooTan is truly multi-purpose offering both high end skincare and a tanner in one luxury product. No streaks, creases, or orange tint in sight just a beautiful natural glow that doesn't look fake at all. That is the make up of an excellent self-tanner in my book. 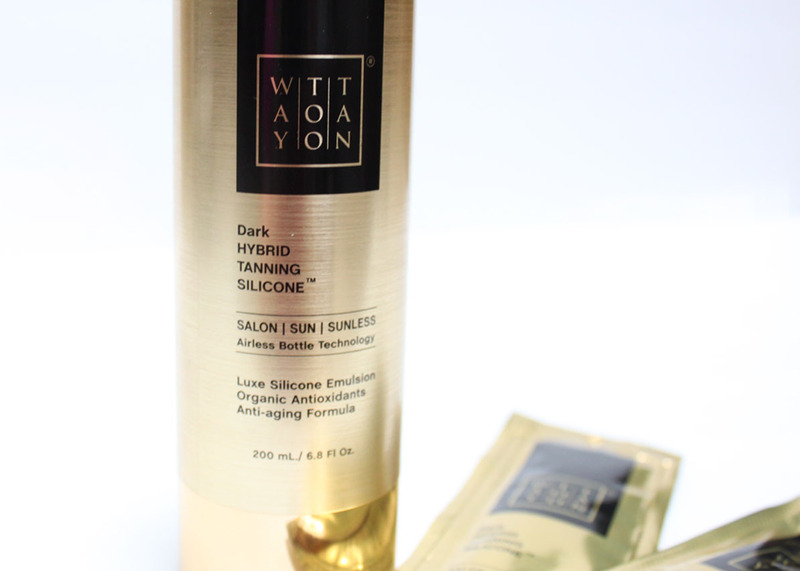 WayTooTan is available at Salon, Spas, and Distributors. Visit WayTooTan.com for more information and where to buy. This post was sponsored by WayTooTan. All opinions are my own.